NSS Executive Director Gary Barnhard presents Heinlein Award to Peter Diamandis. The 2010 Robert A. Heinlein Memorial Award was presented to Dr. Peter Diamandis, who is recognized primarily (among many other globally significant efforts), for his work to create and effectively run the X PRIZE Foundation, which has led directly to the founding of multiple private companies whose goals are to develop vehicles capable of carrying passengers and cargo into space. The award specifically recognizes him for his continuing efforts in support of the private sector in space and the innovative development of space technology through the concept and implementation of X Prizes. Under Diamandis, the Foundation has also worked to transfer the effective concept of the X PRIZE into other fields of endeavor. In addition, he was the founder of the student pro-space group SEDS and a co-founder of the Singularity University, Space Adventures Ltd, and the Zero-Gravity Corp. He has transformed the way we view and approach the human effort to break out into space, and many believe that he is the most effective private space advocate ever. For these accomplishments and the future ventures that align with Heinlein’s work, NSS was proud to award Peter Diamandis the 2010 Robert A. Heinlein Memorial Award. 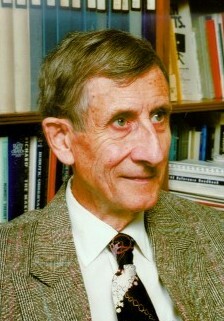 The 2010 Gerard K. O’Neill Award for Space Settlement Advocacy was awarded to physicist Freeman Dyson, in recognition of his many years of support for the concept of human space settlements. 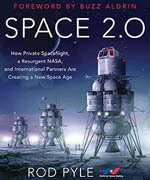 This includes his position as president of the Space Studies Institute, founded by Dr. Gerard K. O’Neill, since 1992. This, along with his involvement in many related areas, such as his work on Project Orion, has contributed an enormous amount of ideas and technical work in support of space transport, settlement, and development. His very significant work in physics has also helped in understanding the space environment, while his rational poking at scientific sacred cows have helped to keep the spirit of open discussion within the scientific community alive. NSS also honors him for his books and articles, in which he focuses on fundamental philosophical issues regarding the role of science for humankind and humanity’s role in the cosmos. Mass Media: Presented to Author Ray D. Bradbury for his lifetime body of work in fantasy writing, including a significant amount of science fiction, such as The Martian Chronicles. Through his vivid writing style and great imagination, many readers have been introduced to concepts such as human settlement on Mars. This has inspired great interest in that topic, stirring the imaginations of many NSS members, and has certainly contributed to the start of many careers in the sciences and the aerospace field in particular. His writing has helped us better come to understand both what it is to be human, and also the pressing need for us to be ever mindful stewards of the future we wish to see. NSS Director John Spencer presented the award to Mr. Bradbury at his home in Los Angeles on May 13, 2010. Service to the Space Community: Presented to George T. Whitesides for his five years of service as Executive Director of the National Space Society (2004-2008), as the co-creator of Yuri’s Night (along with Loretta Hidalgo Whitesides and Trish Garner) in 2001, and as a senior advisor to Virgin Galactic, where he also served as a zero gravity flight coach. He was named CEO of Virgin Galactic in May 2010. 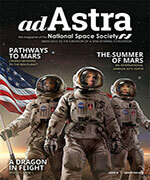 In addition, he has served as NASA chief of staff from 2009 to 2010. He has served on multiple space-related boards and advisory committees and has effectively used his creative and interpersonal skills to advance the cause of access to space and many of the space community’s other common goals. His vitality and leadership moves the space community towards the goal of a vibrant space-faring world. Science and Engineering: Presented to the NASA-Ames LCROSS Mission Team, for their very effective design, management, and successful operation of a high-risk, low-cost, on-time space mission, and in recognition of the numerous and very significant scientific observations that LCROSS returned, especially the discovery of water ice and other volatile elements. LCROSS proves that “Smaller-Faster-Cheaper” can be a valid program concept if properly managed. The ability to tolerate risk is also a critical factor in any new, faster-paced space program. John Marmie, deputy project manager, accepted the award in the LCROSS team’s name. The 2010 Chris Pancratz Space Activist of the Year Award was presented to to the NSS Membership Committee, to recognize them for their hard work. That committee has accumulated more teleconference hours than any other. David Stuart is chair of the committee and also NSS vice president for membership. NSS Star Crystal Award: The NSS Grand Prize — the Star Crystal Award — for the 2009 NSS / NASA-Ames Space Settlement Design Contest was presented by NASA Administrator Charles Bolden to the Durango Aerospace Design Team from Durango High School in Colorado. The team is led by teacher Daniel Garner. The team’s project is called “ARESAM” and is centered on a Stanford torus type space colony orbiting Mars. The award, newly created this year, is a crystal sculpture which accurately depicts the stars in the nearest five parsecs of space surrounding our star Sol, and is produced by the artist Bathsheba Grossman. 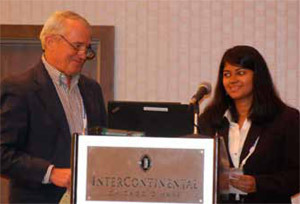 Bruce M. Clark, Sr., and Prateeksha Das.